Between 1.5 and 2% of pregnancies in New Zealand are multiple pregnancies, which means having more than one baby. If you've found out that you're having more than one baby, you'll have a lot of questions about what to expect, how to stay healthy in pregnancy, and where to get support. The UK website Patient, has detailed information about multiple pregnancy, including the difference between identical and non-identical twins, the different types of identical twins, giving birth to more than one baby, and the risks of having more than one baby. It can help to connect with other families who have multiple births, for support and to learn from their experience. 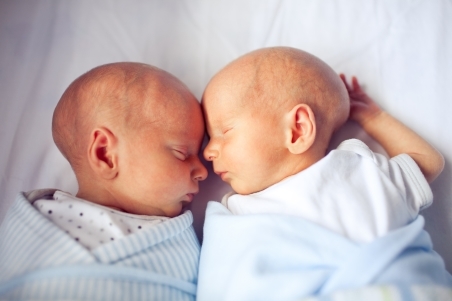 Multiples New Zealand has lots of information and resources about multiple births, and the issues you might have while raising twins, triplets, or other multiples. The Christchurch Multiple Birth Club also offers local support, including antenatal classes just for multiple pregnancies, buddy support, play groups, coffee mornings and more.